I use the Skype software to communicate with my coworkers and customers every day. Skype is free Voice Over IP software that you can run on your laptop, tablet or phone. The software is free to download and install but you may have to pay for making phone calls. I use it on my laptop, desktop and my iPhone 5S. In the past I used it on my Sony Ericsson Android phone. So it works on a lot of different platforms which is very handy. So why do I like Skype so much? The short answer – it saves me a lot of money! I also use the instant messaging feature every day to connect with friends and colleagues. Just remember that for some features to work the people you want to connect with must also be using the same software package. The two biggest features I use are the Skype instant messaging and Skype to Skype free phone calls. I also purchase their monthly world calling package. 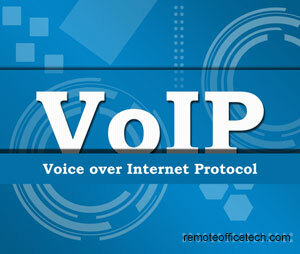 This package allows world wide unlimited calling to landline phones. The monthly world package doesn't cover calling to mobile phones. If you don't make a lot of long distance calls or every one you know is on Skype you don't need this package. When I first starting telecommuting everyone at work was using MSN chat. This was a great instant messaging software package and first introduced me to emoticons 😉 It was easy to stay connected with the office because you could send an instant message and get a quick answer to your question. If you needed more information you could make a phone call or plan a meeting for the next time you are in the office. MSN Chat become Microsoft Live Messenger. When Microsoft bought Skype in 2011 most everyone I know transitioned to Skype. For awhile I used a software package called Trillian. This allowed me to stay in touch with people using the old MSN chat and the new Skype. Now I use the Skype client, but Trillian is still available. What to consider when selecting a Voice Over IP software package? In the group you want to connect with, what is everyone else using? You will need to be running the same software to use some features. What is the cost for the software and any ongoing monthly. Free is always nice but some features are worth the money. Which platforms and operating systems do you want to run the software on? I'm running Skype on my Windows 7 desktop, MacBook Pro, iPad and iPhone 5. In the past I ran it on my Sony Ericsson handset. It saves me a lot of money on long distance calls with their free Skype to Skype calls and their monthly world calling package. It includes a very good instant messaging package that most people I know use. The voice quality is very good when using Skype to Skype and Skype to landline phones. Calling mobile phones is not included in the monthly world calling package. Sometimes the voice quality isn't good when doing Skype to Skype calls with people in South America. If you have a quick note or question you can send it out and if the person is online you can get a response right away. One note, everyone on the team has to be using the same chat tool to communicate with each other.